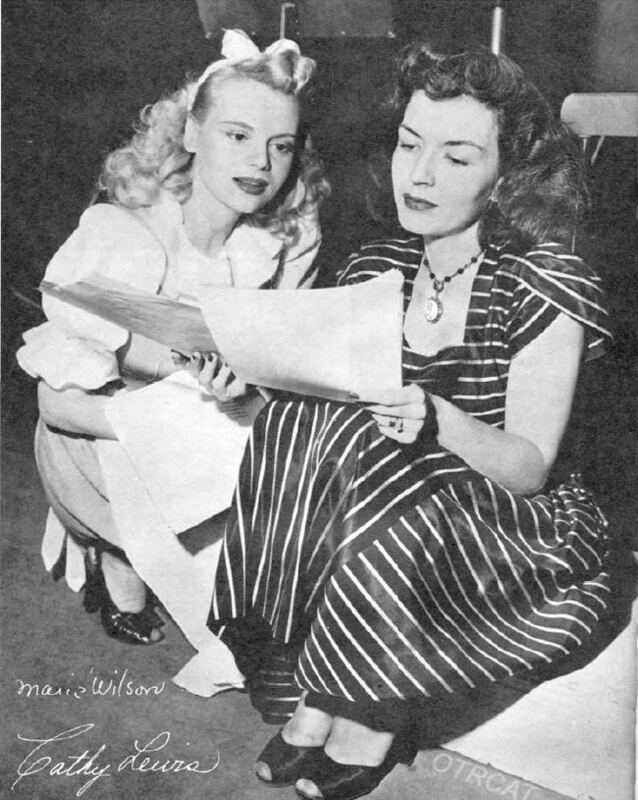 My Friend Irma tells the story of a extremely dim-witted blonde stenographer named Irma Peterson, played by Marie Wilson, and the daily high-jinx that she gets into with her screwy friends. They actually originated from a old time radio show that ran before, and concurrently, to the television show. My Friend Irma tells the story of a extremely dim-witted blonde stenographer named Irma Peterson, played by Marie Wilson, and the daily high-jinx that she gets into with her screwy friends. One of Irma's best friends was her logical and very dependable roommate, and narrator of the show, Jane Stacy, played by Cathy Lewis. Irma was so dumb that she believed that flypaper was airline stationery paper! The show's creator Cy Howard, who also went on to produce Life with Luigi, was hesitant to cast the lead roles because he felt that the show's success depended on the actresses' awesome portrayal of their characters. His uncertainty flew straight out the window when Cathy Lewis arrived to read the part of 'Jane Stacy.' At the time, Cathy Lewis, who started as a singer with Kay Kyser and Herbie Kay, was already well-established in the radio community. With Cathy Lewis on board, the show would soar, giving an average Hooper rating of 20-plus! See also: Gracie Allen for President. Be the first to comment on "My Friend Irma"